HARLINGEN — Location isn’t just about buying the right home. The South Padre Island KOA campground has been named among the top dozen RV parks in the nation. The dozen top RV parks were selected by Thor Industries, a company which manufactures RVs. The parks range from Maine to Alaska, but the South Padre Island KOA was the only Texas park to make the list. The KOA park on the Island juts out into the Laguna Madre, is near Isla Blanca Park, and is just a few hundred yards north of Brazos Santiago Pass and the jetties. The park is more than just another pad for a motor home. It has 200 RV sites and 22 rental cabins, a 23-meter pool, hot tub, exercise gym, commons area with ping-pong and games, an event/activities room, children’s playground, twin bath houses and a pair of laundries. Also located on the site are Osprey Cruises which offers deep-sea and bay fishing as well as dolphin watches. 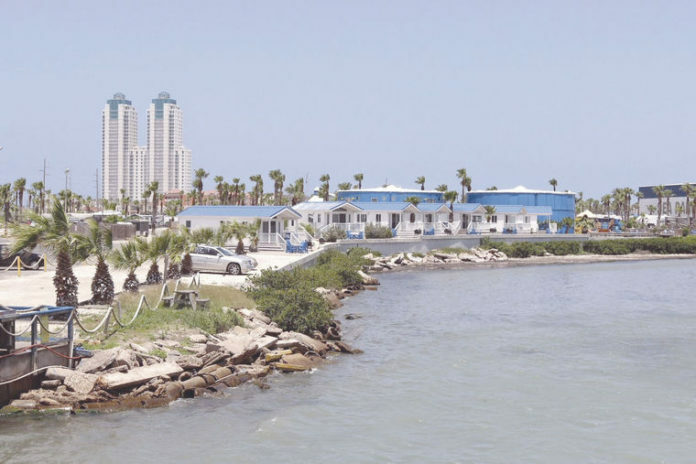 Perched over the Laguna Madre on the campground’s bay side is the Pier 19 Restaurant and Bar. Brooks said the 200 RV sites are mostly full of Winter Texans this time of year, but in the summer, he said families with kids find the location attractive. With shopping, gulf beaches and the Laguna Madre close by, the amenities practically sell themselves. “Plus, we’re right across from Schlitterbahn, so we’ve got an ideal location,” Brooks said.